Bill was born in Brisbane in the early fifties and grew up on a farm west of Dalby on the Darling Downs and in Toowoomba. He was born into a very musical family with a father who was a well trained musician and a mother who could play anything. For many years Bill was influenced by his brother and two sisters singing folk songs at all the family occasions. The Beatles really got Bill interested in music and starting to play the guitar. It wasn't until he lived and worked in Ireland and met with Paul Lawler that his interest in traditional music began. Some years later in the early 80's in Maryborough, he started the Maryborough Folk Club and commenced learning several instruments, playing mainly Irish dance music. He became a passionate musician quickly learning the mandolin, tenor banjo. and finally the fiddle. He met up first with the Red Ned Bush Band from the Sunshine Coast and friend Steve Cook who got Bill started on flatpicking. Later Lionel O'Keefe, Russell McKay and Helen Rowe became teachers and friends. The folk scene was flourishing in the Wide Bay area at the time, with strong folk clubs in Gympie, Maryborough and Bundaberg. There were many visiting musicians from Brisbane and beyond who made the trip. Bill performed in local Bands Old Boots and The Snake Gully Quartet with friends Garry Williamson and Mark Nightingale. He sees himself as an amateur musician. His personal passion is Irish and Scots fiddle music his favourite musician being Irish fiddler Martin Hayes. But it's the slow Scots airs that really stir him. In 1985 Bill with the support of friends called a public meeting to re-constitute the Queensland Folk Fedration (QFF) which for the previous two years had ceased to exist. At the time there was a lot of vitriol in Brisbane with various factions of the folk scene. As an outsider Bill was able to bring peace to the camp and get the QFF off the ground again, first undertaking some concerts, re-establishing the newsletter and gaining a new membership, the base of which was on the Sunshine Coast where Bill and wife, Ingrid had moved from Maryborough. Bill continued performing on the Sunshine Coast with Blowfly for five years until they disbanded in 1992. 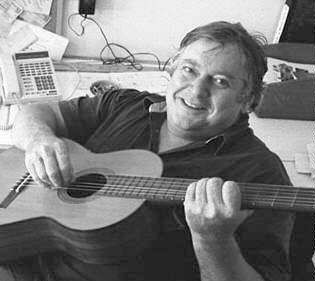 In 1987 he was a driving force for the QFF together with the Nambour Folk Club to commence the Maleny Folk Festival. Bill was very ambitious for the event which he saw as a prime force in developing the folk movement in Queensland. The success of the festival is legendary but it was the outgrowing of the Maleny site and the move and purchase of land at Woodford which has tested the QFF and Bill. "We didn't have the money to do what we did but it was either go down that track or die - all of us at the time felt it was worth a go." The site has cost more than $2 million in development. "While we are largely over the hump it appears now that the dream has worked." but, according to Bill, at great cost. Many people lost faith along the way. "People were romantic about buying the block in the early days but unwilling to march the longer road". For a while the QFF had more than a million dollars in debt. "In September this year it was five years since we commenced work on site at Woodford - it seems longer.The shortage of money has been critical and I¹m not sure people understood the difficulty we've had going down this path." The real beneficiaries of the QFF's work will be the next generation of folkies according to Bill. "They will have a couple of million start but a lot of respect. I hope in future when people will drop the 'just' when they refer to a group as being just a bunch of folkies. I've the view that people in the folk scene are holders of a treasure but have sometimes lacked the confidence to hold it high."